Forget the aches and pains of feet! Tolino provides us with a lace-up shoe designed for the pleasure of walking, a sport style with a flawless finish. Tired of everytime you wear shoes? Then you need comfortable shoes that offer you comfort your feet they deserve, this Tolino Blücher, it will be your best choice. For this model we have chosen an elegant chocolate-brown, of very sport aesthetic that combines wonderfully with any clothing. The outside of the shoe is made with beef skin gradaba, to give a smoother finish. With lining of natural leather and fabric in front, very soft and warm. It has the template is anatomical lined skin, is also removable, to exchange it if you use custom templates. The restraint system is of laces, in the same skin tone. Toe is square, with a great width in area of the fingers, to avoid pressures. The floor is rubber non-slip, flexible and very resistant, to stand up to the most harsh winter. 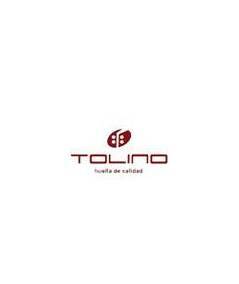 Tolino has designed this collection to meet the highest requirements of comfort and relaxation, offering a sport and timeless style, is particularly suited to dress casually in everyday situations. If you have feet wide and delicate, this is your ideal model.